Sigh. Oh well. Tanaka has signed with the Yankees for the extremely affordable price of 7yrs 155 million , not counting the 20 million posting fee. That brings the grand total to 175 million yen. Oh wait, no. DOLLARS?!? Woof! Thank you, but no thanks. That is too rich for my blood and certainly appeared to be too rich for the money printing machine that Mark Walter uses as a paper weight in his gold office. What I heard around the campfire during this whole mess was that the Dodgers weren’t too jazzed about meeting Casey Close’s price tag. It was said that $120+ million was a must and we were not going anywhere near that and it looks like that turned out to be the case. Yankees are gonna Yankee. Too bad really. I had my heart set on the greatest of starting rotations. Tanaka as a 4th starter. OH MY GOD. I drool at the thought. But alas, that is not to be. And it’s not the end of the world. 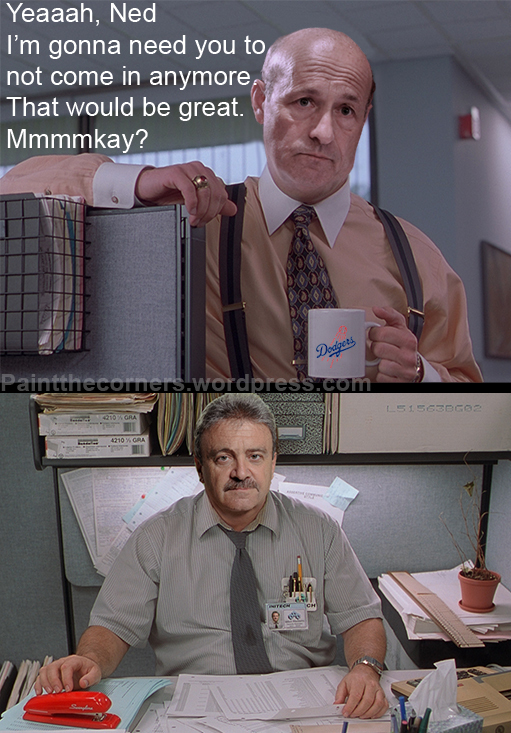 I think we are going to be alright with a rotation fronted by Kershaw, Greinke, Ryu and Haren. Not too shabby. Now the question remains, who gets that 5th starter spot. Personally I am rooting for ZLee, but am expecting Josh Beckett, and am fearing Bronson Arroyo. So we now switch from #TanakaWatch to #ArroyoDread. Brace yourselves. Outrage is coming. It’s too bad though. 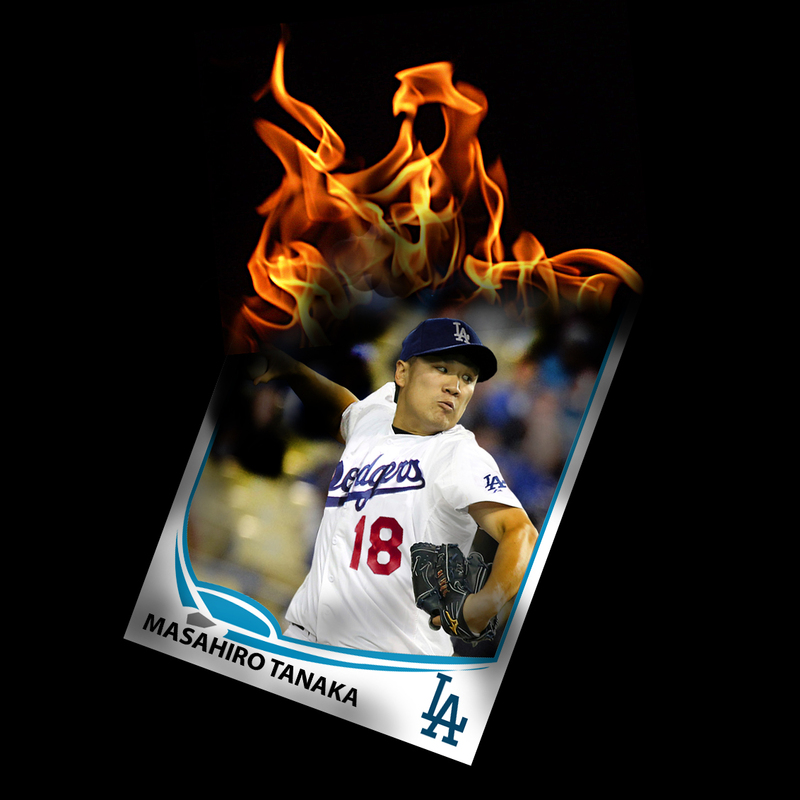 That was a sweet photoshop of Tanaka in a Dodgers jersey. Oh well. So long Masahiro. Enjoy the comforting and loving environment that is New York. Their supportive and understanding fan base will be there to nurture you through your first steps on to the big stage. Good luck! Sigh. So much for this. Get excited folks! Danny Haren!! And that title is not meant as a joke. I am genuinely jazzed to have Dan Haren to round out the back end of the rotation. Yeah, this is extremely late but I was just reminded yesterday that I haven’t ‘shopped Haren into a Dodger uni yet. Here you go. Now, I would love it even more if Haren is the 5th starter because Tanaka is slated to go in the 4th spot, but we gotta wait on that. Hopefully Tanaka is a Christmas gift to all Dodger fans tomorrow. Next up, maybe I try to Dodger up Guerrero.